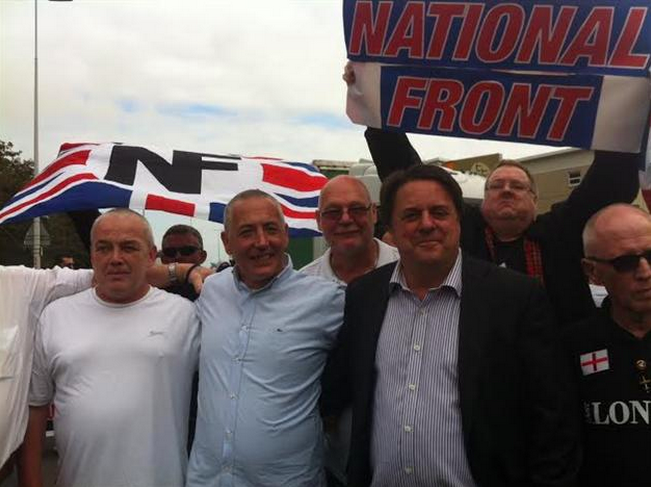 The last “Support the Truckers demo” in Dover – Paul ‘Pitt’, Nick Griffin and the NF all present. On Sunday 25th January fascists will gather in both Calais and Dover to “secure our borders”. European countries are more than happy to plunder wealth and raw materials from around the world, through exploitation, expropriation and political interference, yet are never willing to take responsibility for the horrific social and economic fallout from their meddling. Join us in Dover on the 25th, in solidarity with migrants, against the bloodthirsty capitalist system whose endless quest for profit creates horrific human suffering, and against the boot boys of capitalism, the fascists and nazis!